This natural lamb fur coat will surely make a very good acquisition. The jacket has a modern design, very nice and different to the traditional ones. 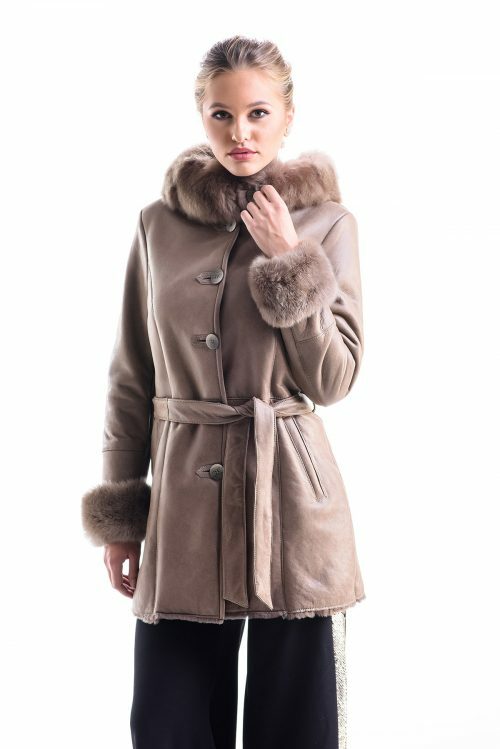 The exterior of the jacket is made of nappa lamb leather and merino lamb fur trimmed. Inside the jacket is trimmed merino lamb fur, at a perfect 8 mm thickness, for a modern look and a perfect comfort. The closure system of the jacket is made using assorted buttons. You can have a comfortable jacket with beautiful sleeves construction and the combination of nappa leather and lambskin sewn with attention will make you feel perfectly at all times. This fur coat can be purchased in several colors.